Arkansas and Texas aren’t unique in having laws on the books aimed at penalizing supporters of Boycotts, Divestment, and Sanctions (BDS) for Palestinian rights. They are among 26 states to have enacted such laws. Arkansas and Texas have also joined another growing subset of states–those who face First Amendment challenges to their anti-BDS laws. On December 11, 2018 the Arkansas Times announced that it is challenging Arkansas’s anti-BDS law in court. Under Arkansas’s anti-BDS law, recipients of state contracts must either certify that they do not boycott Israel or reduce their fees by 20% For years, the schools in the University of Arkansas system have advertised in the paper. Yet, recently the University of Arkansas-Pulaski Technical College told the Arkansas Times that in order for the school to continue to advertise in the paper it would have to certify that it did not boycott Israel or reduce its fees. As the Arkansas Times explained, the school “sent over what looked like a loyalty oath as a condition of payment.” The Arkansas Times does not boycott Israel and has never taken an editorial position in support of BDS. As journalist, however, they are fully committed to the First Amendment and refuse to comply with a law that deprives them of their First Amendment rights. They are being represented by the American Civil Liberties Union of Arkansas. If past litigation is any indicator both plaintiffs are likely to be successful. Lawsuits against similar anti-BDS laws in Kansas and Arizona resulted in federal judges granting preliminary injunctions. 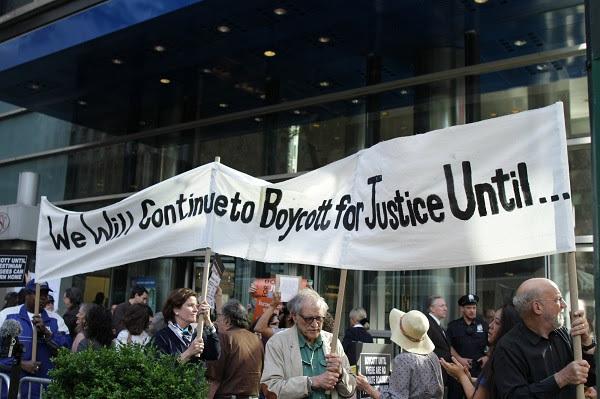 In both cases, the judges concluded that boycotts for Palestinian human rights constituted expressive activity and the plaintiffs would be irreparably harmed by being deprived of their First Amendment rights without an injunction. Since the first anti-BDS laws were proposed in New York and Maryland in 2014, Defending Rights & Dissent has opposed them as an affront to the First Amendment. The challenges brought to those laws highlight the reasons why we opposed them.